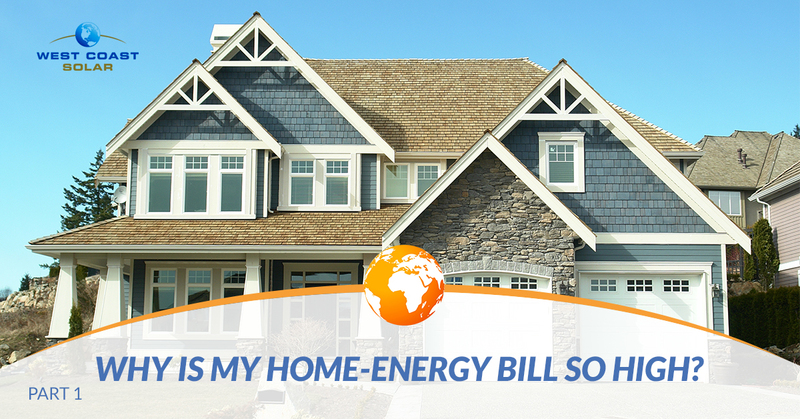 If you own a home in Sacramento, you’ve probably opened your most recent energy bill and asked “why is my energy bill so high?” You’ve most likely retrieved the last few months of energy bills and discovered how the cost of electricity is slowly climbing each month. Across California, homeowners are realizing that if they continue to purchase energy from the grid, they will either have to sell their homes, sell their belongings, or all-of-the-above to simply sustain their current standards of living. At West Coast Solar, we don’t want you to sell your home or your belongings. We have a solution to the rising energy costs throughout Sacramento and 20 other counties in California. But before we explain how we can help, we want to share the five ways you can troubleshoot your energy bill to ensure you’re not overpaying or causing your own high-cost for electricity in this two-part blog series. If you’re using your electronics more often, you may be increasing your energy bill. The use of electronics draws power, which can cause your home as a whole to use more energy, which drives the monthly electricity bill to increase. Another potential cause to an increase in energy cost is adding new electronic use to your home. You may not realize this, but one new electronic, like a television, can increase your electricity bill enough for you to take notice each month. Audit how your entire household is using electronics, and then reduce electronic use to reduce energy bill cost. We understand if you’re not in a position to purchase a new stove, fridge, or dishwasher, but older appliances tend to be less efficient with energy use. Appliances that are seven years or older need to be audited for energy use to ensure they’re not driving up your monthly bills. A simple solution would be to purchase new appliances. You may want to consider smart appliances to increase efficiency and be able to monitor use via an app on your phone. If you want to learn about 12 smart home devices your solar system can power, consider reading our blog post on it. Tip #3: Are appliances or electronics not in use but still plugged in? You may have heard your grandmother mention how she used to unplug her appliances when she had her own home. It’s most likely that she did this to reduce the chance of starting a fire. Within the last 30 years, home-electrical safety standards have risen exponentially. If you do not currently own smart appliances, you may want to make the switch. Traditional appliances draw energy whether you’re using them or not. They are considered in “standby mode” whilst plugged in but not in use. Smart home appliances allow for complete “disconnect” from power to disallow a standby charge to be drawn when not in use. If your appliances are drawing too much energy whilst not in use, consider unplugging them until you need them or making the switch to smart appliances. West Coast Solar has been serving Sacramento and the surrounding counties for years. We aim to keep solar simple so you can benefit from clean, renewable energy without all the technical confusion. Our solar system design team and system installation technicians are ready to help you make the switch to solar power. If you’re ready to discuss how to transition your energy use to solar, give us a call today! You can read part two of the series to learn two more tips on how to troubleshoot high home-energy bill costs.